The Woytowich Team curled together from 1990 to 1994. It was either boom or bust for this team. 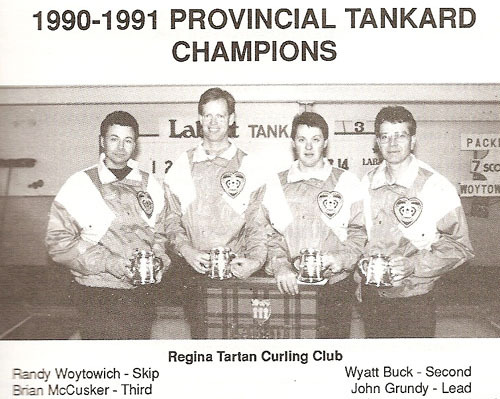 In 1990 they lost out in city playdowns. 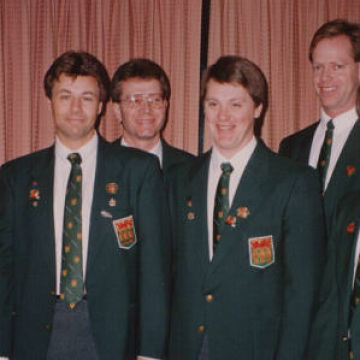 In 1991 they won the Provincial Championship and were off to the Brier where they completed the round robin at 8 – 3 and a tie for first place with Kevin Martin. They were awarded first place and a bye to the final, but were unable to defeat Martin again, so had to settle for 2nd place. 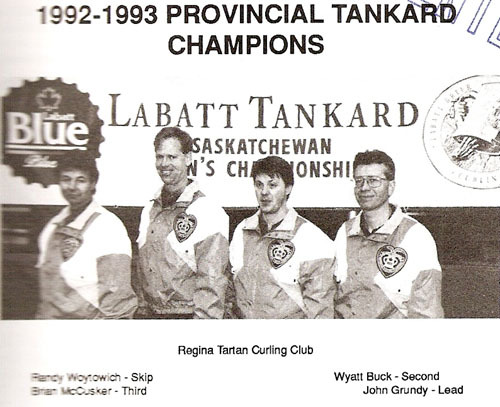 1992 brought great success on the cash spiel circuit but no luck at home as they lost out in city playdowns. In 1993 the cash trail was very tough as they lost eleven qualifiers, but things looked up as they started into playoffs. They advanced through the city, southerns and went undefeated at the Provincial. The Brier was not quite as hospitable this time, however, as they ended up with a 6 – 5 record and missed the playoffs.